I originally wrote this in 2013 for the now defunct Aslan Media, I took out the beginning because this year, there really are flags everywhere and a sense of pride and celebration, even in Kabul, but the questions still stand. For the last week, the streets of Kabul have been adorned with symbols of Afghan pride: waving flags hanging from storefronts and street signs, revellers singing and cheering on the roads as flags wave from their hands, children with Afghan flags on their bicycles and the tri colour black red and green painted on their faces. They are all the physical signs of festivities marking the Anglo-Afghan Treaty of 1919, the armistice between King Amanullah Khan and the British. As with all celebrations of Afghan ‘independence,’ much of the commemorations revolve around Amanullah Khan himself. This year, many of the odes to Amanullah have focused on his ‘modernisation’ efforts. King Amanullah fought against religious extremism 98 years ago, the phenomenon that we still face with – cancellation of Aryana's concert. @alibomaye #Afghans restored independence at the time (94 yrs ago) but whether we were able to keep it or not, is a big question. The question “what” can either refer to the date 98 years ago or today. 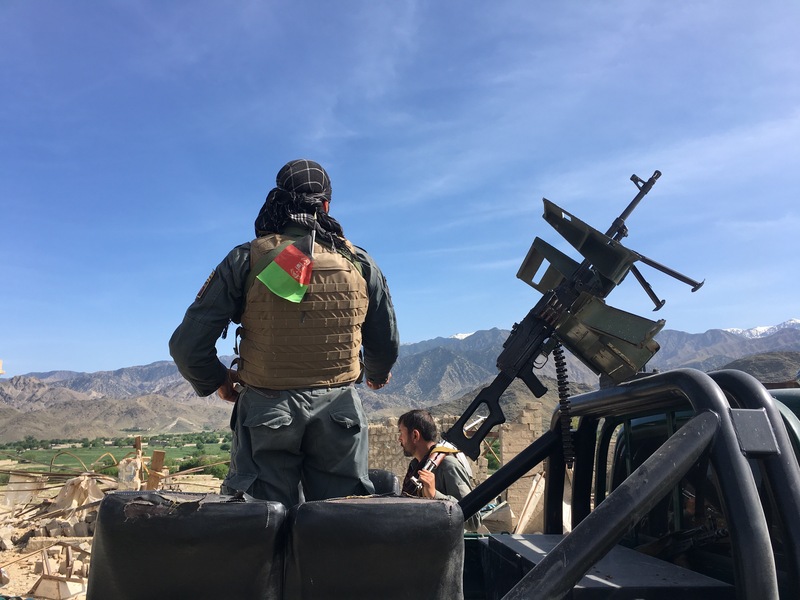 On August 19, 2017, as with every year since the US-led invasion, Afghan foreign forces will continue to fight an armed resistance that aims to expel both the continued foreign presence and Western-backed government in Kabul. In the case of the current leadership, that means a unity government that was formed after then US Secretary of State, John Kerry, flew in and brokered a deal between election rivals Ashraf Ghani, the current president, and Abdullah Abdullah, who was given the new role of Chief Executive. The echoes of “what independence” can also point to an alarming phenomenon that is increasingly being employed by both political opportunists and the armed opposition. A trend which is based on efforts to divide Afghanistan along ethnic, ideological and religious lines. All in the service of their own agendas. “What” could also be seen as a reference to the hundreds of thousands of Afghan asylum seekers in Turkey and Europe, who have taken on great danger and massive debt in hopes of fleeing the ongoing war. Historically, people will point to the fact that though Afghanistan was never part of the British empire, it did receive financial subsidies from London. More contentious, however, was the fact that Afghanistan’s right to conduct its own foreign affairs as a fully independent state came at the cost of the reaffirmation of the Durand Line. @Peymasad: Now I like it, this is how Afghans should call it or even "good riddance" day as Afghanistan was never occupied by foreigners ! The Durand Line, a 2,640-kilometre demarcation separating Afghanistan from British-controlled India (and what is now Pakistan), was established after a 1893 memorandum of understanding between Abdur Rahman Khan, the Afghan Emir, and Mortimer Durand, foreign secretary of British-India. The loss of Quetta and Peshawar has never been accepted by the Afghan people and governments subsequent to Amanullah. Shamsor Rahman, 25, referred to the line when asked what Independence Day means to him. The notion that Afghanistan was not "colonized" because of failed military invasions is narrow. AFG born as a colonially contrived state. Ayob, 30, from Helmand province, where ongoing battles between foreign forces and the Taliban continue to take a heavy toll on civilian lives, echoes this statement. Questions of “which independence” are a matter of Afghanistan’s long history of conflict. Afghanistan is perhaps the only nation on earth “which is a single country, but could have several days of independence”, said Qayyum, a resident of the Wazir Akbar Khan neighbourhood. Mentions of multiple independences are in reference to more than 38 years of conflict. People will ask is independence the day Amanullah signed a treaty which solidified the loss of Afghan land to what is now Pakistan, or May 15, 1988, the day the final Soviet forces left Afghanistan? Or is it June 2002, when the transitional government of Hamid Karzai officially took control from the Taliban? Though the online debate often extends for hours, I was interested to know how the people of the Afghan capital and Helmand, the southwestern province where British soldiers are still stationed (in 2013), viewed Independence Day. Did the right to conduct our own foreign affairs result in a free Afghanistan? For Abdol Wakil, 22, August 19 is a “happy day” which ended decades of “hardship” for an Afghan people he believed was under foreign rule. “It is the day that Muslims finally took control of our nation”, he said standing outside a lighting store in Shar-e Naw. When the gallant nation of AFG won their independence,AFG became one of the only 4 Islamic countries to have full independence at that time. But Abdol Wakil’s initial answer that August 19 marks “94 years since we were free of the Russians”, highlighted the often murky understanding of Afghan history, even among the Afghan people. “The British”, a nearby shopkeeper said laughing. “The British. We were out of British control after 1919”, the shopkeeper said correcting him. For 20-year-old Faisal, the lack of visible Independence Day celebrations (in 2013) is more indicative of Afghanistan’s leadership than its people. “No one takes it seriously. Everyone here is out to fill their own pockets”, he said before invoking a fact that has found its way to an oft-repeated joke about divisions in Afghanistan. With foreign forces, including the UK, currently stationed in Afghanistan (in 2013), many people wonder if independence has led to freedom in Afghanistan. “Unfortunately, the current government doesn’t want the foreigners to leave. They want them to live here because it eases a burden on them”, Faisal said. Residents in the southwestern province of Helmand said though they see August 19 as “a happy and important day”, signs of independence and freedom are clouded by ongoing violence. Ayob, 30, said in the Nad Ali district, where many locals work with in government-related jobs, “The constant violence has left no hope for [the people]”. Ayob said Helmandis were reminded yet again of the effects of the violence by the recent death of a young shopkeeper caught in the crossfire of a fight between the Taliban and foreign forces. “Even after all this work and money spent I can’t feel the safety and security. Everywhere I look, as hard as I try, I can’t feel or see this freedom we are supposed to enjoy as a sovereign state”, Ayob said. Noor Ahmad Noori, a journalist in Helmand said Ayob and the residents of Nad Ali are not alone in their thinking. With no change in the security situation, Noori said: “People don’t have faith in the state and the sovereignty it’s supposed to hold”. In brief conversations with people from Kabul and Helmand, it has become more clear that though independence as a symbol holds importance for some in Afghanistan, many have yet to feel or see the freedom that should theoretically come with independence. “I pray one day there will be an end to the death and destruction and that we can truly celebrate independence”, Noori said.